Essays, techniques, finesses and of course, effects for your repertoire. Working ideas with 52 pieces of paper. Participant as Mindreader: Expand the perception of your participant, and let him to read the mind of another person. Amira´s Dribble Peek: Casual technique to know a “thought of card”. C.A.R.D. 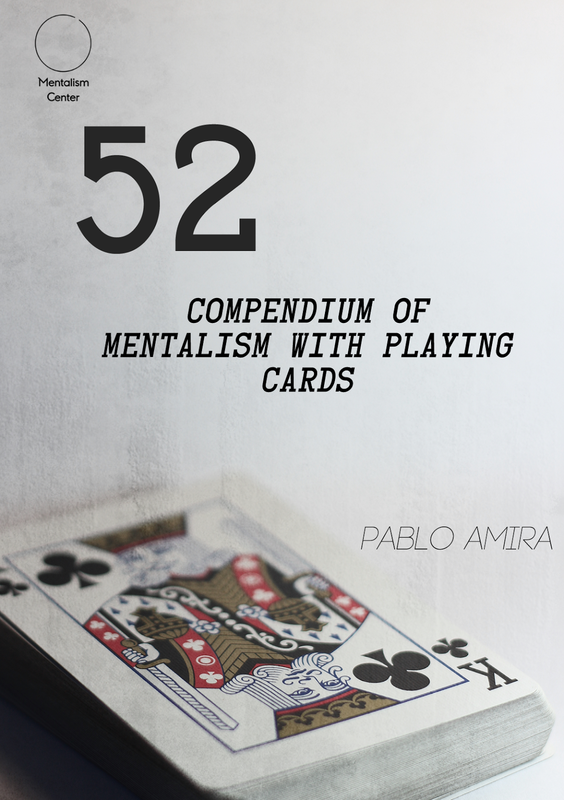 System: A simple reading system for playing cards. Tribute to Dunninger: A new way to know or even force a thought card. Picasso Peek: A novel technique to have in your toolkit. Unnamed Spread Force: An easy and deceptive Spread Force. Casual Force: One of the best card forces that I know, and it is all about attitude. Casual Overhand False Shuffle: Complete false, all remains the same. Casual Double Lift: A normal looking double lift special for the covert handling of playing cards. Casual Stack: An easy to remember stack for your work. Casual False Cut: In the hands false cut. Bold and simple. Circle Marking: Save money and do your own marked decks. BPC: A technique to create clean switches using an ungimmicked box. Annoying Thought: Read minds and predict named cards with ease. TranceClairvoyance: Connect your participant with his intuitive powers. Shhh! : The classic “Think Stop” effect with a logical and interesting presentation. Ungimmicked B´wave: Give the predicted card as a souvenir with this handling! Memory to Remember: A memory expert needs preparation when he wants to give a demonstration in memory? Neither do YOU! Dermovision: Perform an amazing and real demonstration in dermovision with a pack of cards. TCAAN: THE card at any number. A precise card to complete a royal flush is found at any number named. I WILL Win: My version on the “10 Card Poker Deal”. Simple and effective, no Jonah Card required. This is such a wonderful work and it contains some real gems within its pages that I recommend it to anyone wanting to add a few brilliant work to their performance. I give this work an overall rating of 9.5 out of 10. I really enjoyed this work and its creative think when it comes to some older effects and forces. The new take on just some of these works is worth many times the price of this manuscript and there is a lot more in this work than can be mentioned in a review. This eBook is full of great routines and great thinking! 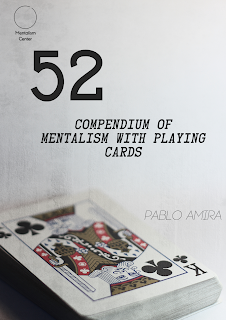 Like Pablo´s other work, this eBook has lots of small subtleties that add so much to the effects. I thoroughly enjoyed your book. Lots of great ideas and "jumping off" points. I love this book. Pablo`s obviously put some thought into what he´s published here and it really shows. It`s a steal. 52 is a great book. As usual the effects are GREAT!